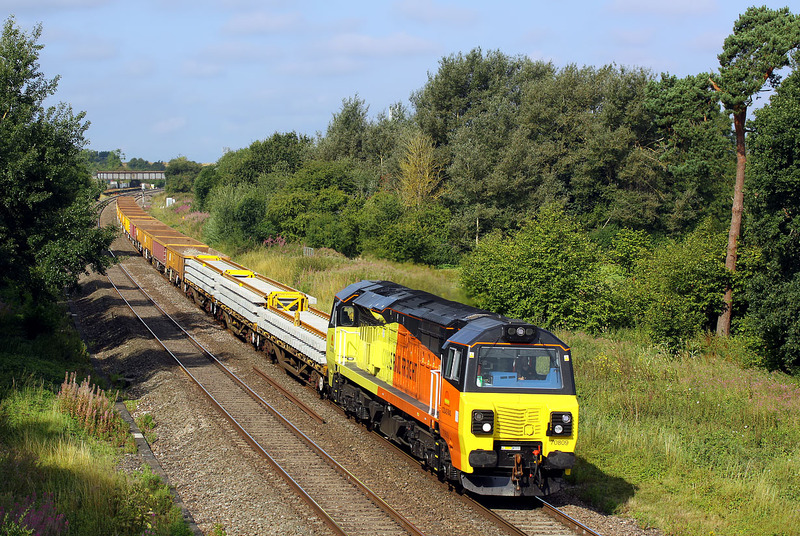 70809 passes the site of Ashbury Crossing, Shrivenham on 7 August 2014 with the 6M50 07:55 Westbury to Bescot engineers train. Sometimes this train can be quite short (or even just a light engine!) but on this occasion there is a healthy load, with three wagons of particularly photogenic brand new track panels directly behind the locomotive.